Thank you for visiting muslim2china.com. Muslim2China respects your privacy and we want you to know about our information privacy practices in place before providing any of your Personally Identifiable Information (PII). Muslim2China only collects personal information you voluntarily provide about yourself to offer the services you have requested. Muslim2China uses your PII for the purposes of processing and fulfilling your requests for Muslim2China travel products and services. Muslim2China does not disclose or share any of your information with others, with the exception of communicating on your behalf to secure reservations of airlines, hotels, car rental agencies and cruise suppliers. Muslim2China provides you with option and control over the collection and use of your PII, as well as a means of updating, correcting, or removing any PII stored in your customer profile. 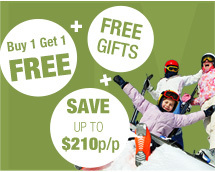 When you register on muslim2china.com, we use your information to create your member account. Information collected when you complete your traveler profile is used to confirm and process your travel reservation. In addition, information collected from you when you purchase a tour is used to bill your credit card and deliver your travel itinerary, either electronically or through the mail. In the event your travel plans are disrupted because of mechanical, weather, or carrier business conditions, Muslim2China may send you an email notification to inform you of these conditions and help you make alternative travel arrangements. We will use the email address and telephone number provided by you to respond to your questions, suggestion or request for assistance with your itinerary and logging into and accessing your user account. To provide and process the services you requested Muslim2China shares your PII with authorized service providers that perform certain services or tasks on our behalf. 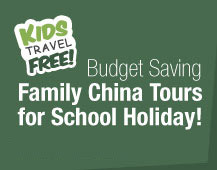 We only share information about tours which are reserved or purchased through Muslim2China. Our service providers require information about your traveler profile and credit card information to process and confirm your travel reservation. The service providers will disclose your information to hotels, airlines, cruises and other travel suppliers whose products and services your have purchased. This information must be shared with other travel suppliers in order to confirm your reservations and travel preferences. Moreover, these travel suppliers may contact you if necessary to obtain additional information about your confirmed reservation. 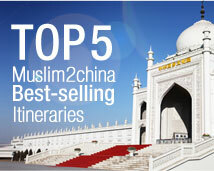 Muslim2China offers travel products such as hotels, airlines, cruises and other services of reputable companies. However, we have not restricted these suppliers from using or disclosing your information without your permission. Therefore, we encourage you to review the information privacy practices of any travel suppliers whose products you have purchased on Muslim2China. Muslim2China undertakes the responsibility to preserve the privacy of any personal details at all times, even after the termination of your memebership. Muslim2China does not sell or rent your PII to anyone. Service providers: To provide and process the services you request, Muslim2China shares your PII with our authorized service providers that perform certain services or functions on our behalf. 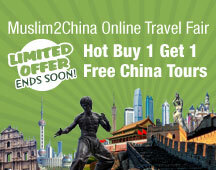 We only share information about tour either reserved or purchased on Muslim2China. Our service providers need information about your traveler profile, as well as your credit card information, to process and confirm your travel reservation. These service providers will disclose information about your traveler profile to hotel, airline, cruise and other travel suppliers whose products you have purchased. Like any other travel agent, this information must be shared with our travel suppliers to confirm your reservation and travel preferences. Although Muslim2China offers travel products from hotel, airline, cruise and other travel suppliers that are reputable companies, we have not placed limitations on these suppliers from using or disclosing your information without your permission. Therefore, we encourage you to review the information privacy practices of any travel suppliers whose products you purchase on Muslim2China. In addition, these travel suppliers may also contact you as necessary to obtain additional information about your confirmed reservation. Muslim2China undertakes to preserve the privacy of any personal details at all times as well as after the termination of your membership. We want our members and site visitors to feel confident about using Muslim2China for planning and purchasing their travel, so we are committed to protecting the information we collect. Muslim2China has implemented a security program to keep information that is stored in our systems protected from unauthorized access. Currently, Muslim2China only stores the information you provide when registering to become a Muslim2China member, create a travel profile or purchase a tour. This Privacy Statement was produced and posted on muslim2china.com since the day it was established. Muslim2China reserves the right to modify or amend this Privacy Statement if there are material changes to this statement or how your PII will be used, we will promptly post updates and changes before implementation. Regardless of other updates we will abide by the information privacy practices described in this Privacy Statement at the time you provided your information. Should you have questions about our Privacy Statement, please Contact Us. Your questions and suggestions are warmly welcomed.